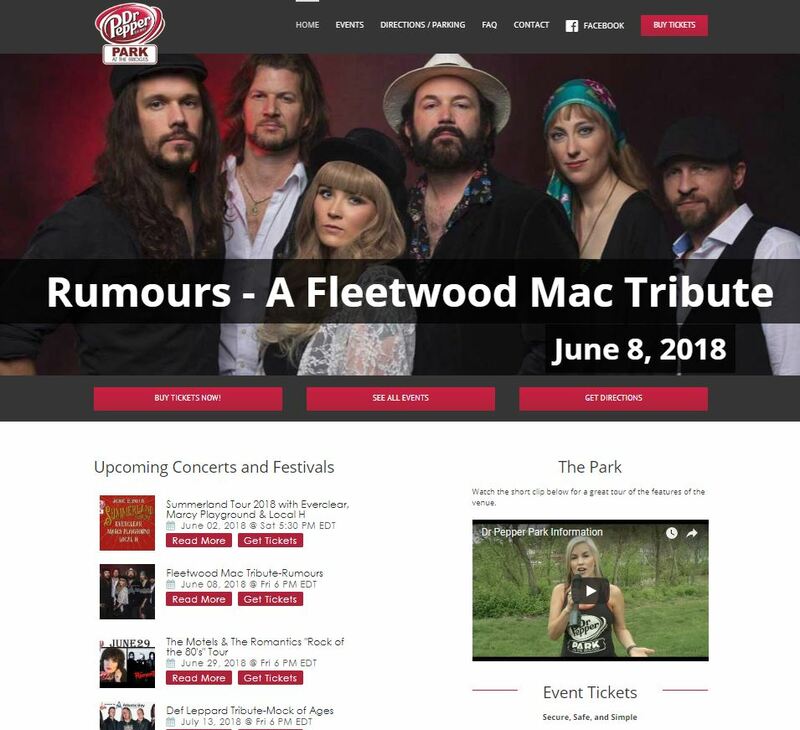 Roanoke’s newest and best outdoor venue for concerts & festivals – Dr Pepper Park had a website that was badly in need of a technology update to properly serve a highly mobile audience. To keep the site always up to date – coding was done to accomplish syncing to Facebook event listings. Outdoor concert and festival venue.